1 How do I book? You can book online on our website by clicking the ‘Booking’ tab and following the instructions. Alternatively you can use our ‘Booking Enquiry’ tab to send us your details and we can book you in. Please don’t hesitate to phone us on 07811364919 if you prefer to speak to a real person. We accept payment via Bacs, Cheque, Credit or Debit card (Visa and MasterCard) and PayPal. A deposit of £300 per barn secures your booking and the balance is due 8 weeks before the start of your holiday. 3 Do you offer short breaks? Yes, we offer short breaks. 3 nights week end Friday to Monday and 4 nights mid week Monday to Friday excluding High Summer, Easter, Christmas, New Year and Half Terms. We can often be flexible so do ring Liz to check out alternatives. 4 Do the barns share facilities? No – The barns are detached and totally separate with their own private drives, parking and grounds. 5 Can we bring our dogs? One well behaved dog is welcome in Beacon View Barn. Dale View Barn is Dog free. 6 Do you have Wifi? We have good Wifi signal but please don’t expect super fast city slicker speeds – this is rural North Yorkshire. 7 Will I be able to use my mobile phone from Crag House Farm? EE and Orange has excellent signal here and on request we supply a pay as you phone incase you are on another network. New masts are currently being located nearby so we hope to have an improved service soon. 8 Should I bring sheets and towels? We supply you with soft white towels and the luxurious comfy beds will be made up with crisp cotton ‘Designer Guild’ stylish bed linen. 9 Would the barns be suitable for my elderly frail father in law? Beacon View Barn offers ground floor level living with wide doorways and handy grab rails in the ensuite wet room. On request we can supply a shower stool and raised toilet seat. Awarded Mobility 1. National Accessibility Scheme. The easy access ground floor facilities help older and less mobile guests enjoy their holiday stress free. 10 Where do we pick up the keys? We live in the farmhouse just across the lane so we are on hand to personally meet you and show you around your barn. 11 Can I get a supermarket delivery? Yes, Sainsbury’s and Tesco both deliver here. 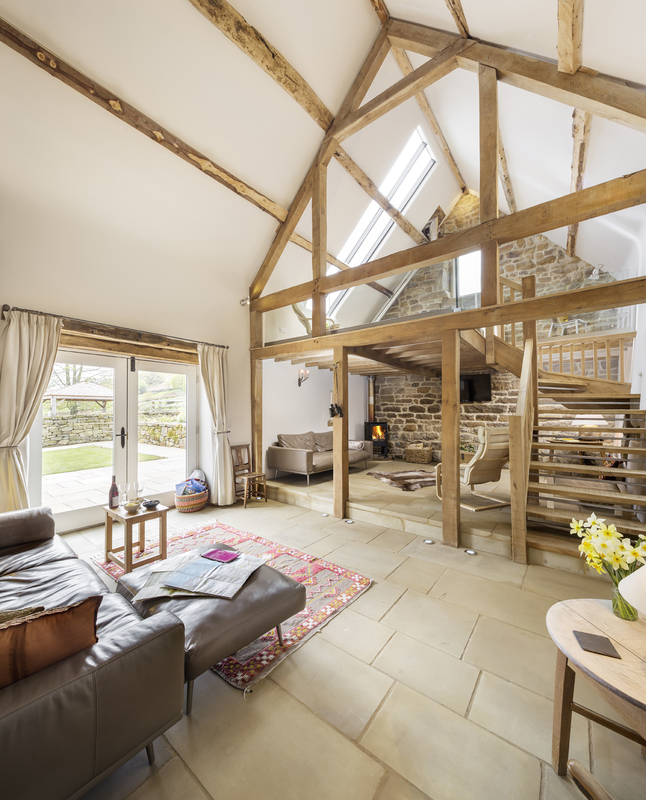 Just name the barn that you are staying in either Beacon View or Dale View Barn, Crag House Farm, Danby Head, Whitby, North Yorkshire YO21 2NW and it’ll get here. If you wish, Liz is happy to accept the order for you if you were unable to get here before the groceries arrive. 12 I would like to plan a 60th birthday party for my wife, can you recommend an in house caterer for the occasion? We have a great local caterer https://www.lillies-catering.co.uk/catering who we highly recommend having used them ourselves and successfully recommended to our cottage guests.